The overall accommodation market in South Africa is made up of hotels, guest houses, bush lodges, caravan and camping sites, and of course bed and breakfast establishments. Travellers are increasingly looking for more bespoke and unusual holidays, so bed and breakfast businesses can cash in on the personal touch and offer a wealth of local knowledge. Total revenue for 2016 was R649.5 million, although this is a complete figure for lodges and self-catering as well as bed-and-breakfast establishments. Total revenue for all accommodation types in 2016 was R3,679 million. that independent businesses can cater to the individual needs of their guests - by providing maps of the local area, guided tours and tickets for events or trips, for example. Staying in a bed and breakfast rather than an impersonal hotel chain enables the visitor to experience the area like a local while taking advantage of more unusual locations not covered by hotels. Independent guest houses will often be more flexible, homely, and cheaper, which can be a great selling point when advertising. Additionally, the overall percentage of occupancy for hotels in the past few years has been steadily falling, but the revenue for accommodation overall has been increasing. This could lead to an inference that other types of accommodation are benefitting from this, including bed and breakfast businesses. If you are looking to turn your home into this type of business, be prepared for the hard work and lack of privacy that will come with it. Alternatively, instead of turning your current home into a B&B, there are many opportunities to buy a going concern. You will have to carry out the usual checks to make sure it is a viable business, and the location is probably the main factor in whether it will be successful or not. The fact that South Africa is slowly coming out of a recession can only be good for travel and accommodation in general. When an economy dips, travel is often the first expense to suffer, and this is particularly true for both the business and tourist travel industry. Although business travellers are less likely to opt for a bed and breakfast option over a hotel, the overall effect during an economic downturn will see a reduction of tourists staying at bed and breakfast establishments. However, when disposable income rises as it is at the moment, people will tend to go on more vacations and as the economy strengthens, the use of bed and breakfast businesses, as well as other types of accommodation, will increase. Having strangers come and go whenever they please in your own home can be hard work. A bed and breakfast owner has to have the patience to deal with customers at all times of the day (and night), as well as keeping the fixtures and fittings suitably maintained to be welcoming and comfortable for the guests. By running a B&B you will have to be prepared to cope with downturns at certain times of the year, particularly if your location is not a year-round holiday destination. It can be a challenge to ensure you have a steady throughput of guests throughout the year or make the revenue for the peak times stretch out for the whole year. You will not be allowed to turn your home into a bed and breakfast business without contacting the local Town Planning Department. They need to approve your plans before you can be allowed to obtain a trading licence. The regional Services Board and Inland Revenue also need to be aware of your plans particularly for tax and VAT purposes, and you must also make sure you fulfil all health, fire and traffic demands. Additional legal requirements include correct signposting and if you intend to have music playing in communal areas, you will need to apply for a music licence. 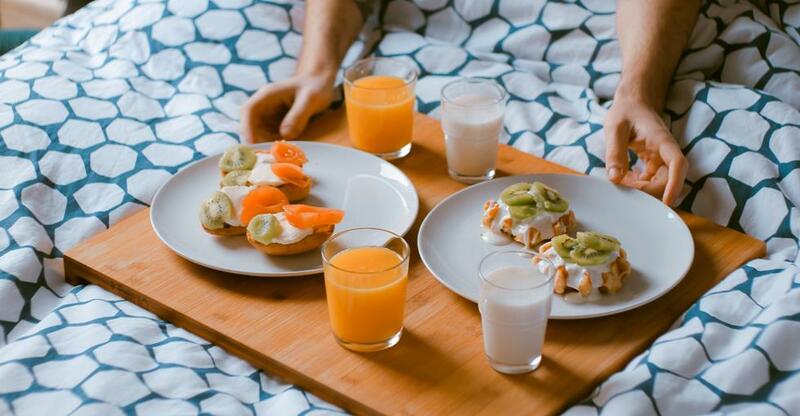 Buying a bed and breakfast business can seem an easy way to make some extra money, but it actually involves a great deal of hard work and can demand long hours. As well as being good with all types of people, patience, professionalism, and diplomacy are key, along with an ability to run a profitable business and all that that entails. The ideal place for a bed and breakfast would be somewhere close to attractions, whether these are city-based to appeal to those on short breaks, or natural beauty like The Drakensberg that would appeal to people on walking holidays. Whatever you decide, it has to be popular enough to get enough visitors to make the business successful. Although it can be hard work running a bed and breakfast business, it can also be rewarding to be the catalyst in ensuring your guests have a perfect holiday. If you enjoy meeting new people and would like to try this type of business, it could be the best decision you have ever made.